Aphrodite M — GSH inc.
She is so kind and easy to work around. She is also SUPER simple to ride. Very safe and brave! Aphrodite had a super 2016 summer season qualifying for both the Jump Canada National Medal Final & the CET Medal National Finals at the Royal Winter Fair. 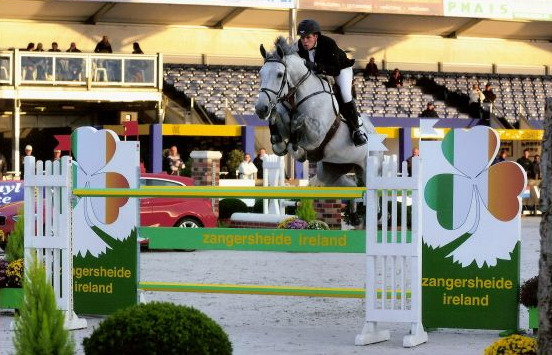 Is a fantastic BIG Eq horse with indoor experience! Super simple, Super easy, Super brave, auto everything! She has shown at Lanaken (Young Horse Finals in Europe), Spruce Meadows, Thunderbird, HITS Thermal, Del Mar, Sonoma, Royal Winter Fair - Canadian Finals Indoor (Toronto, Canada)! This mare is a great teacher! Located in Vancouver, British Columbia until Jan 4th - then she will be available in Thermal, California.